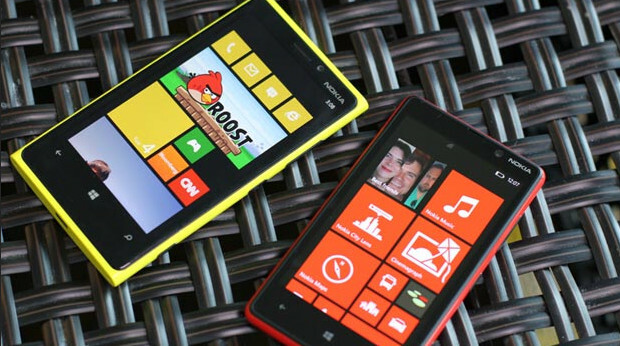 Nokia has just announced its first smartphones to run the next version of Windows (Windows Phone 8 OS), with the Lumia 920 and Lumia 820 handsets being unveiled at a New York event. 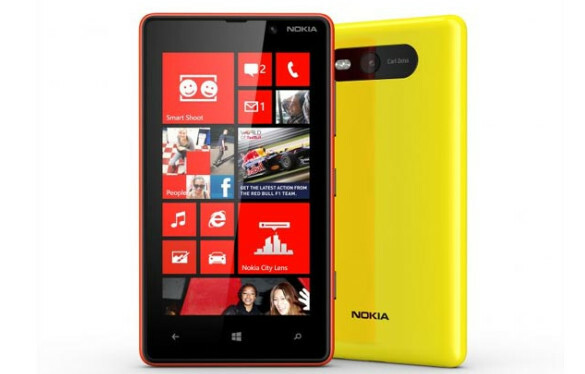 Available in eye-catching yellow, red, grey, white and black, the Lumia 920 packs a large 4.5-inch PureMotion HD IPS LCD touch screen display, offering a generous WXGA (1280×768) screen resolution. The 1.5 GHz dual-core Snapdragon S4 processor-powered handset comes with 1GB of RAM and 32 GB mass memory, backed by 7GB of Skydrive storage. 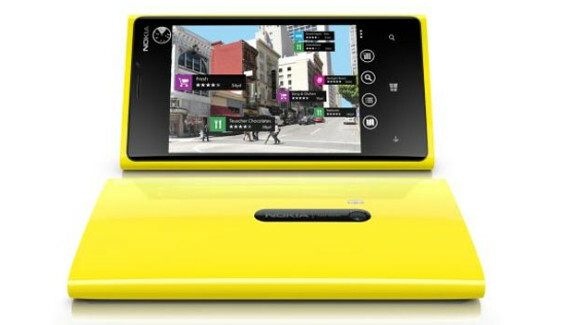 The Lumia 920 fits in an 8.7 megapixel rear camera (with Nokia PureView advanced optical imaging stabilisation and Carl Zeiss optics) plus a 1.2 megapixel front-facing camera. Connectivity options include NFC, Wi-Fi hotspot and Bluetooth 3.1, while inside can be found a hefty 2000mAh battery. 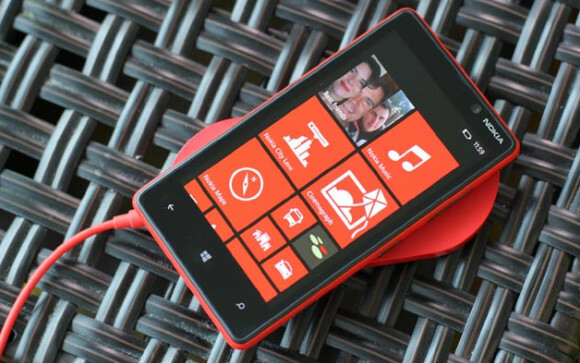 The Lumia 920 also comes with built-in wireless charging – just like the old Palm Pre – which means the phone can be charged without the need to plug any cables in. Instead, it just sits on the charging pod – a great idea that we’re glad to see finally getting wider adoption. The cheaper, mid-range phone, Lumia 820 offers a 4.3-inch ClearBlack OLED WVGA screen offering a rather modest 800 x 480 pixels display. Inside beats 1.5GHz dual-core Snapdragon S4 processor, while the handset comes with 1GB RAM, 8GB mass memory with microSD memory card support and – again – the 7GB free SkyDrive storage. 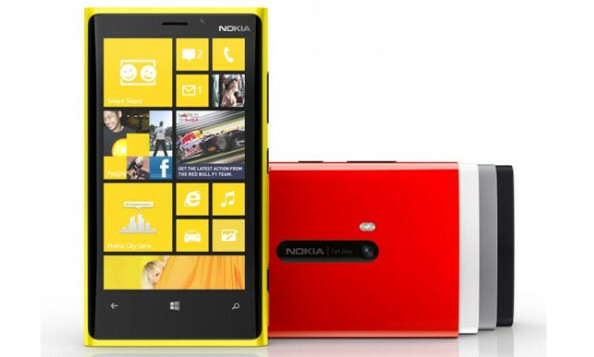 The Lumia 820 offers an 8 megapixel auto focus camera with Carl Zeiss optics plus aual LED flash, with a front-facing VGA camera onboard for video chit chat. 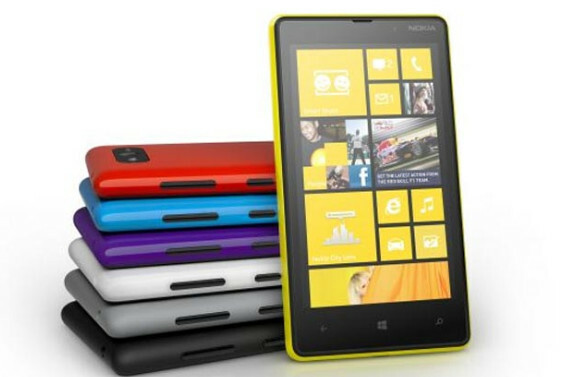 The Nokia Lumia 820 also comes in a range of snappy colours (and exchangeable backs), letting users choose from red, yellow, grey, cyan, purple, white and black. We’re rather liking the look of these bright and cheerful handsets, although Nokia is yet to reveal the all important pricing and availability details. We’ll post up more as soon we hear more details, although the hard-nosed money markets aren’t too impressed, with Nokia’s share price plunging after the launch.